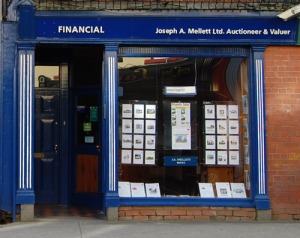 The building which now houses the Auctioneering business was constructed by Michael Mellett in the early 1900’s and it was rented out to a dressmaker called Sissy Doherty until the late 1960’s. 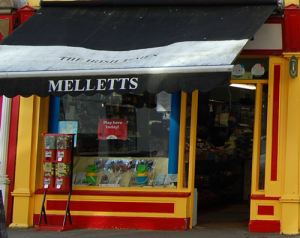 Joe Mellett than operated a Launderette there until 1981. In the early 1970’s, Joe took over the business from his father, Willie. The Irish Permanent was opened in 1984 which also housed the Travel Agency. The Travel Agency was disposed of in 1995 as the Auctioneering business grew. Joseph A Mellett Ltd, Auctioneer & Valuer – Estate Agent & Land Agent was established in 1984. Their portfolio covers a wide range of properties from derelict cottages at the bottom end to state-of-the-art designer homes at the upper scale. The firm also handles the sale of land both farming and development sites, public houses and other commercial properties. It is one of the leading auctioneering firms in East Mayo. The firm’s players are led by the managing director, Joe Mellett who is involved in the day to day running of the business. Joe is a member of the IPAV and CEI and has been an auctioneer since 1984 following two years of third level education at the RTC in Sligo. 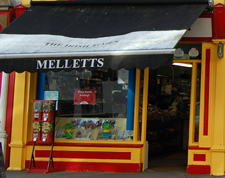 The Newsagency building was purchased from the late Pat Kelly in 1983. 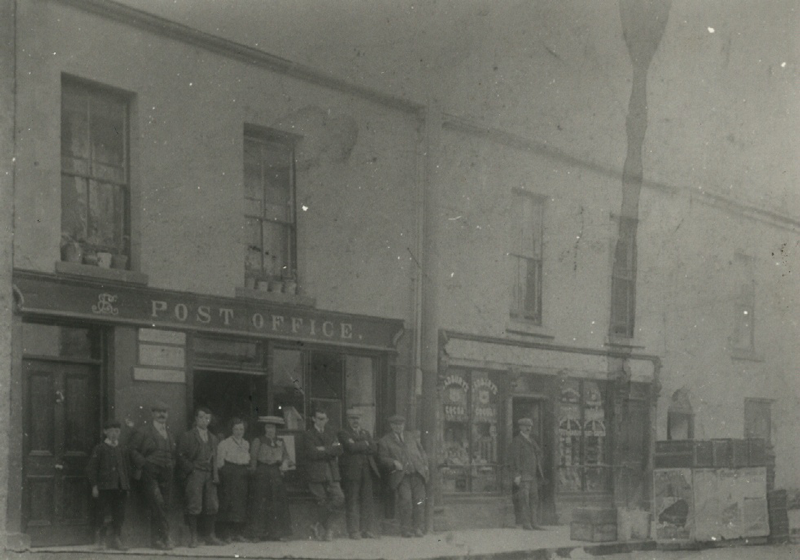 The premises was originally the Post Office in Swinford, where Michael Mellett served as Postmaster for 25 years. The Post Office clock is still on display in Mellett’s.